M & J Video security and video surveillance experts are here to listen to your concerns, and customize a security system specifically tailored to your needs. Many families, business owners and individuals lack peace of mind – M & J Video is dedicated to serving our customers and helping thousands more families and business owners achieve that peace of mind. How do you achieve it? 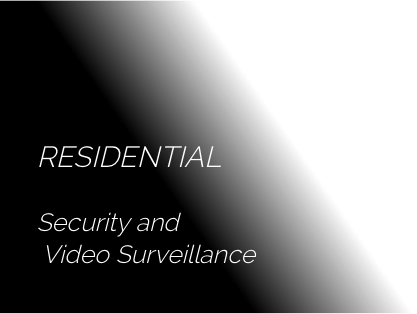 We provide you access to some of best equipment available and install an optimal solution for your video surveillance and security requirements that fits perfectly with your individual lifestyle and business environment. M & J Video is one of the longest operating security camera businesses – serving the greater Los Angeles area for over 30 years. If you need a CCTV system for your home, office, apartment building or warehouse, M & J offers video surveillance design, quality equipment, and professional installation. Quite simply, we are the best security experts in Southern California. Do you need a new security system? M & J will design and completely install all cameras, conduit and cable, and give you access to your cameras via the Internet using any computer, Mac, PC, or Smart Phone anywhere in the world. M & J Video specializes in upgrading older and outdated surveillance video equipment. We can replace your old analog or older digital cameras, digital video recorder (DVR) and monitors. Modern technology on the market includes 1080p mega pixel cameras, network video recorders (NVR), and high resolution HDMI monitors. We can upgrade almost any older system using your existing video cable. Whatever brand of CCTV system you have, M & J has the experience and technical knowledge to service and maintain it. With 30 years in the video surveillance business and counting, we will keep your system running smoothly for years to come.